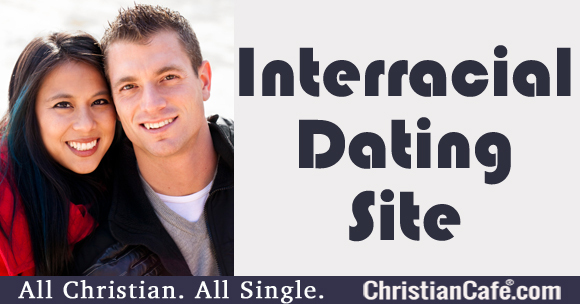 Christian interracial dating site - Is the Bible ok with interracial dating? What does the Bible says about interracial dating? Is it ok to use a Christian interracial dating site? 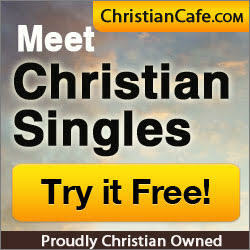 Some Christian singles may not be sure about using a Christian interracial dating site to look for their soulmate. Dr. Jim explains what the Bible says about interracial dating and the best way to make sure that your relationship can turn in marriage. Dear Jim: Is it ok to use a Christian interracial dating site? Our world has certainly ‘shrunk’ in recent years. Travel and communication not only make it easy to be in contact with other parts of the world easily, it has also increased migration from one part of the world to another. The Internet has greatly contributed to ‘connecting’ individuals from a variety of races and cultures across the globe. Perhaps it is the usage of the Internet that has prompted more people to consider interracial dating sites and people from other cultures. I know of no specific scripture that precludes interracial dating. Some might suggest that the instructions in 2 Corinthians 6:14 would apply regarding ‘unequally yoked’. This would be an inaccurate interpretation of Paul’s words because he was clearly instructing Christians to not marry unbelievers. I know of no interpretation that says differently. Biblically, I find no instruction that precludes considering interracial dating/marriage. It is without bias that I do make some ‘practical’ suggestions that one should consider when entertaining dating one from another race. Although the individuals dating may be at ease in interracial dating sites, they should be prepared that those around them may not be. There are still locations within the USA, as well as around the world, where interracial dating/marriage is not viewed positively. There are cultural aspects that usually relate to each race, which should be given consideration. These differences can be easily set-aside during dating, but often become huge items after marriage. If one is considering dating with a specific race other than her/his own race, they should spend a good deal of time in that culture (if applicable) to see how they feel about the differences in a practical sense. All of the considerations that apply to building a healthy relationship should be applied when building an interracial relationship. Understanding family backgrounds and how they apply to future expectations is another major area. This should apply to communication as well – as one thing means something in one part of the world and something quite differently in another. A very sensitive area, but one that should be given a good deal of thought, is future children that the couple desires to have. How will they be raised? Where will they go to church? How will their education be approached? How will you answer their question when they come home and say something like ‘someone at school said that my parents are different’? The roles of men and women differ greatly between races and cultures. This should be another area of consideration, education, and discussion. Making a wise and mature choice. There are many happy and successful Christian marriages between races. I personally know several of them and cherish their friendships. God should be the guide (and not our internal needs) in finding and building our relationships. Do not run ahead of His Spirit’s guiding and make a mistake that will greatly impact a lot of lives. Be open to taking the time to educate yourself – and then your partner in the relationship – so that you are making a wise and mature choice. I especially like the wisdom found in Proverbs 11:14 ‘but in the multitude of counsellors there is safety’. Every person should have mature, wise Christians of their own gender as accountability partners. These partners should be consulted at every step of consideration for inter-racial dating/marriage. When a relationship develops, additional counsel should be sought with a Christian counsellor or Pastor experienced in marital counselling. This suggestion is not given to ‘doom’ the relationship, but to give it every chance to develop and become all that the couple and God desire it to be. Finally, close attention should be paid to input from family and close friends. They know us best and their insights can be very helpful to making the best choices for us (if they are Christians). I want to get married, but no mate yet. Starting a new relationship before divorce is final? What is love when seeking a soulmate? Next post Singles: Valentine’s is here! I’m shocked that ChristianCafe would even entertain this as a serious question. Why would you dignify this inquiry with a response? Did you read the article? Dr. Jim is replying to a Christian single, who wrote to him about interracial relationships. He has no issue with it and neither do we. Is this a serious question? We’re living in the twenty-first century! I would like to humbly question one item and add Biblical teaching as well. First, the question of race is a false notion. We are all of one race. When we read the text, we see God only created man, male and female. There are multiple ethnicities but not multiple races. I believe if we use the term ethnicity and reject the term race we will transform the discussion itself and call into question old prejudices. Second, I think we should always take a long look at Song of Solomon when the question of ethnicities arises. Note that she is dark/nubian. Every indication in the text would say this is of no concern, and in fact the only issue in the Bible about different ethnicities/tribes relates to whether or not they were engaged in the worship of Jehovah or a false god/idolatry. Frankly, I believe we are all God’s children, and we have allowed Satan to create divisions among us using all sorts of pretenses instead of using Kingdom thinking.